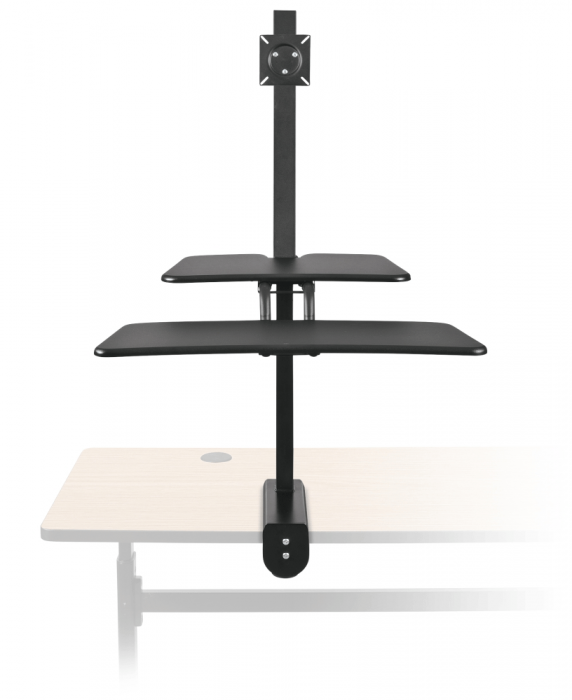 The Up-Rite Desk Mounted Sit/Stand Workstation instantly transforms your existing desk into an ergonomic work space, allowing you to sit or stand as you work. Sitting for six to eight hours a day isn’t ideal, and standing all day can be hard on you as well. 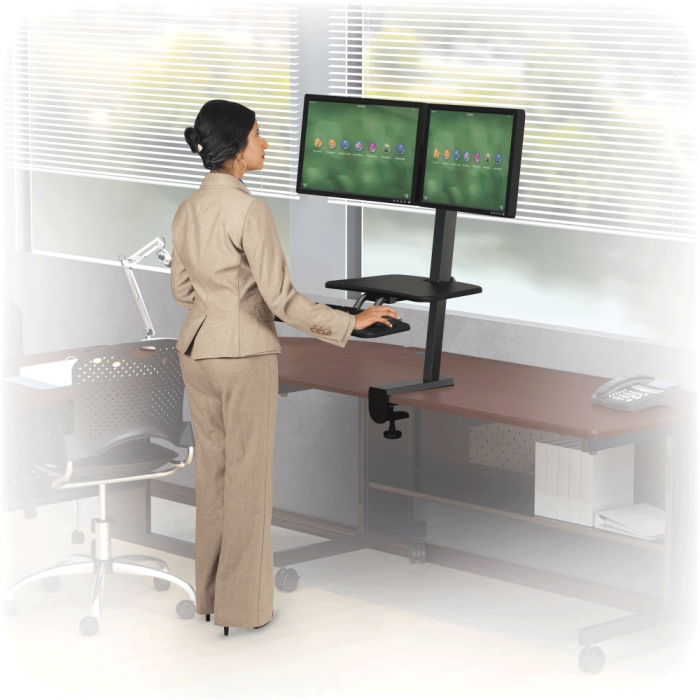 By easily alternating your positions, you’ll enjoy higher productivity, better posture, and have fewer energy dips. 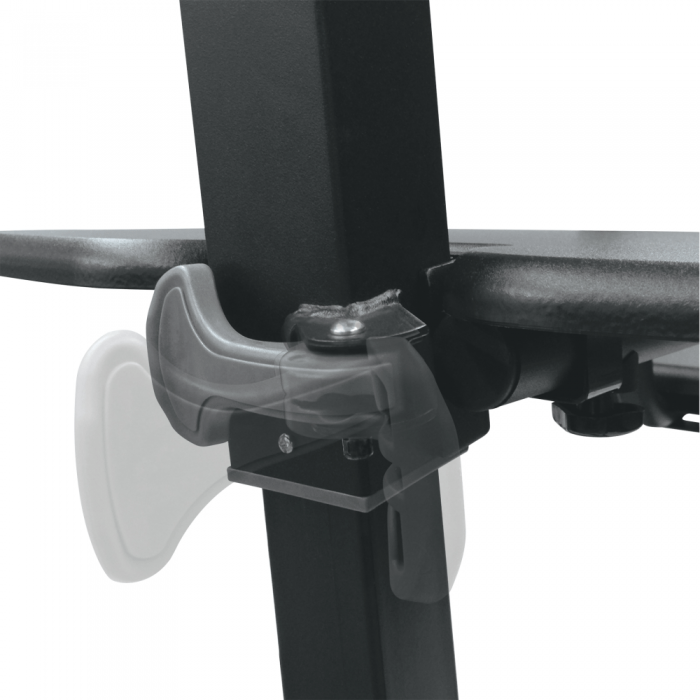 Easily attaches to your existing desk (up to 1.5" thick) to give you 18" of pneumatic height adjustability. Simply disengage the locking mechanism and adjust to your desired height. Monitor mounts adjust 21" along the main tube for even more positioning options. Ideal for use with a tablet, laptop, or a desktop computer, the workstation includes retractable keyboard/mouse tray (27"W x 9.63"D) and an additional shelf (19.75"W x 12"D) for a tablet. Available with either a single or dual monitor mount. VESA compatible mount from 75mm to 100mm. Single mount unit has a weight capacity of up to 15 lbs. 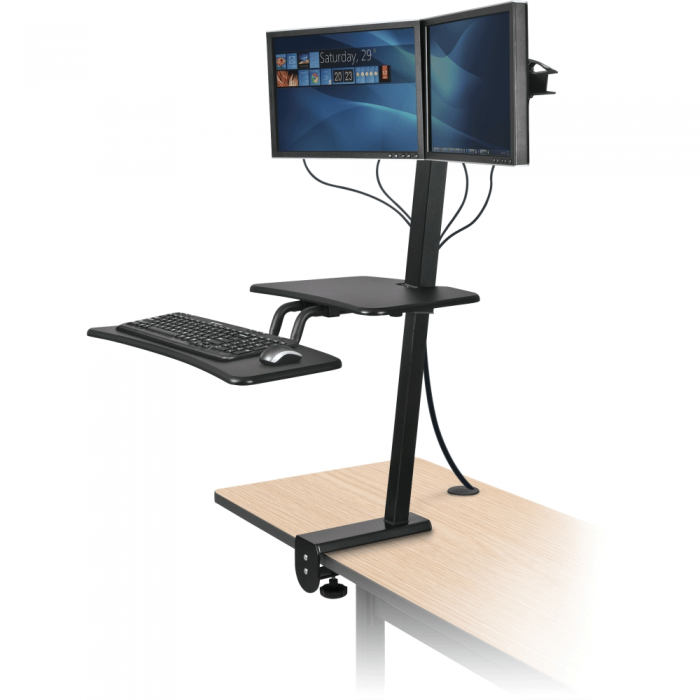 Dual mount unit has a combined weight capacity of up to 30 lbs. Center to center maximum is 25".